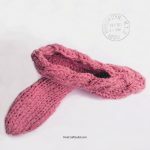 I hope you all have been enjoying may past few post as much as I have creating and sharing them with you here on Fine Craft Guild. 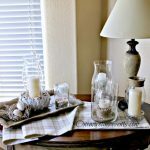 While I have been sharing a lot of outdoor centerpieces using recycled items. 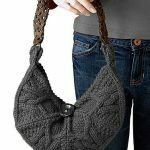 Today I would like to share something I have found quite challenging, until now. 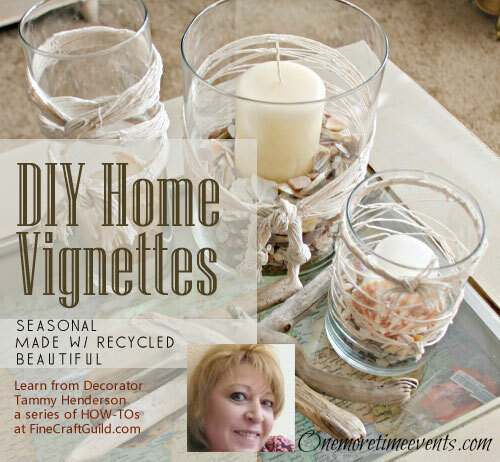 I love the look of floating shelves and creating vignettes upon them. However, I have always stayed away from doing them. Here are the reasons why. You know the two holes on the back? 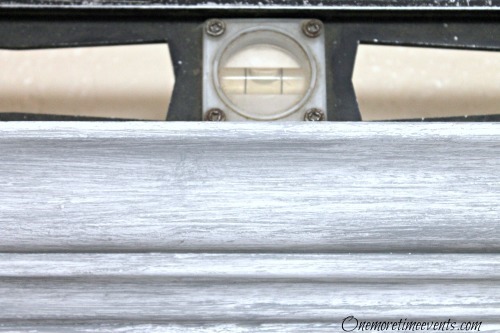 Well most of the time when I have tried to hang these kind of shelves, wall hanging I end up with several holes in the wall, so most of the time I have the hubby do it… Until now! Look I did it! And if I can do it, anyone can do it!!! All you have to do is a few easy steps. Turn your shelf over to the back. Cut off enough tape to reach from one hole to the other . 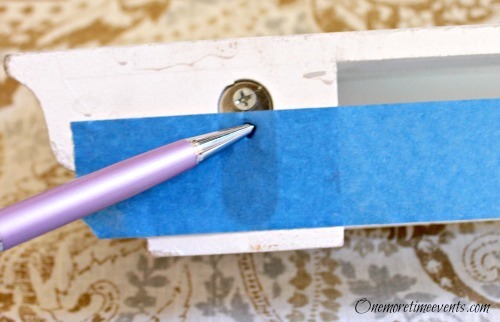 Take a pen or something you can poke a hold into the tape where the nails should go. 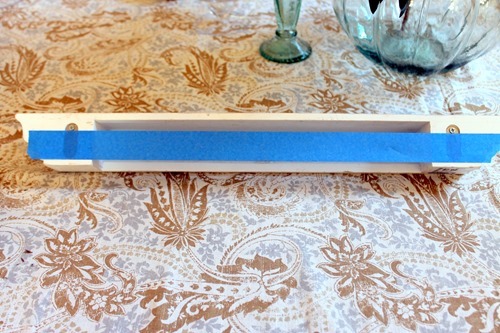 Remove tape and place it on the wall where you want to hang your shelf. Take you level. 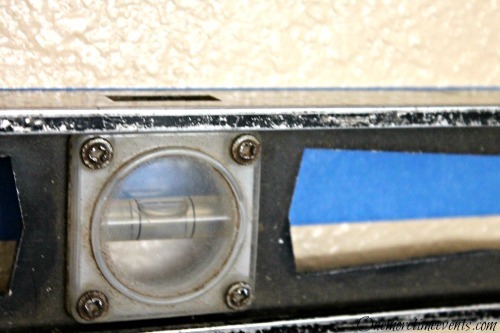 Place it a the top of your tape on the wall and make sure it is level. Now with the holes you have placed in you tape this is where you will insert or drywall screws or nails. Remove the tape and hang your shelf. Check that the shelf is level and perfect. And that’s it. You’re done! 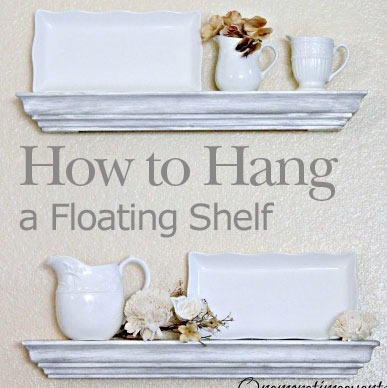 You’ve just hung up your first floating shelf, and it is now ready for you to decorate it. I love that hanging up a floating shelf is actually so easy to do. 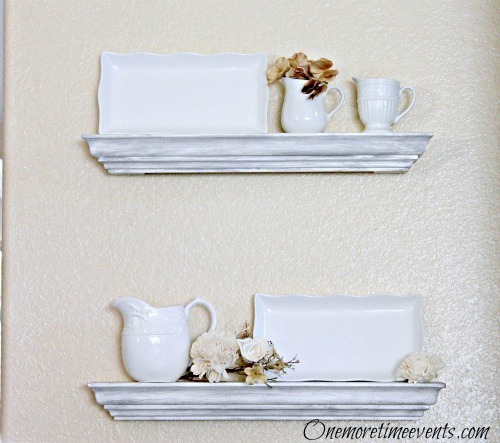 And now that I have shown you how to hang up some floating shelves, you can do it too! 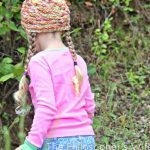 If you enjoyed this post and would like to see more like it… I would love it if you followed along.